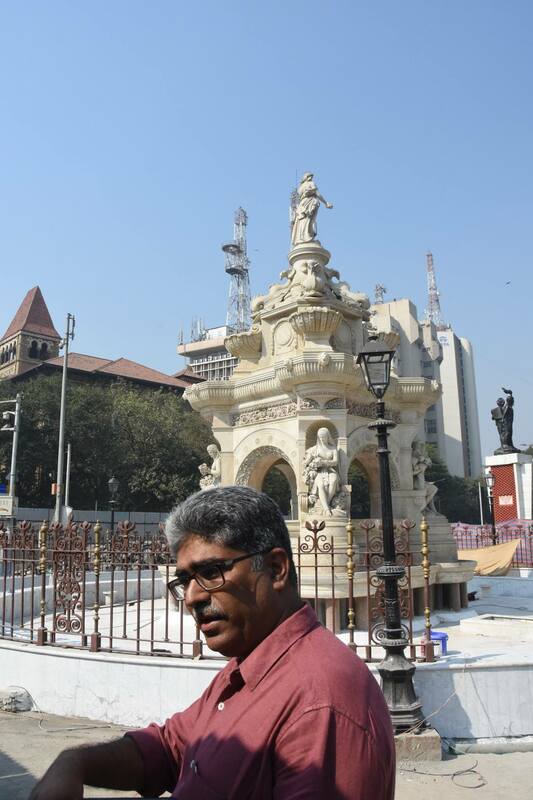 The refurbished Flora Fountain was inaugurated on January 24, 2019 by Bombay's mayor Vishwanath Mahadeshwar and South Bombay member of Parliament Arvind Sawant. The Grade I heritage structure was built in 1864, depicting the goddess Flora. Commissioned by the Agri-Horticultural Society of Western India, the structure has statues of four women, depicting the four seasons. The Fountain carries a plaque memorializing the contribution of Rs 20,000 by Cursetjee Parekh towards the construction cost of Rs 47,000. Conservation architect Vikas Dilawari told Parsiana on January 5, 2019, while showing us around the work then in progress, that the defunct water water management system in the Fountain posed a challenge during the two-year restoration period. The three-tier 38 ft structure was built in such an ingenious way that no part of the masonry would get wet from the cascade of water, he said.